All About Real Estate Auctions: Have you heard of online bidding? Have you heard of online bidding? Yesterday I had the opportunity to talk to a group of Coldwell Banker Agents at their office in Kirkwood (St. Louis, MO area). It was a great group and I was able to share how online bidding works and how they can offer it as an option to their sellers. Q: Is the seller forced to sell to the highest bidder? A: No, the most common practice in the industry is to state in the auction terms that "Winning bid is subject to seller approval". In the case of a short sale, "Winning bid is subject to lender approval". Q: How do people find out about the online auction? A: Marketing is key. Yard signs, flyers, postcards, Craigslist, MLS, etc. Most agents do some sort of marketing campaign around a new listing, you would want to do the same thing for an online auction. Q: How long should an online auction last? A: In general 3 weeks or less, but it can depend on the property and marketing campaign you have planned. I've seen online auctions done successfully in as little as a week. Q: Do people buy a property site unseen? A: It does happen, but it's rare. You have to expect to hold at least 2 open house "previews" during your marketing period so buyers have easy access to see it. Open house previews should be 2 hours or less so you can get multiple buyers in at the same time, creating competition. Q: Aren't auctions just for distressed properties? A: Not anymore. Cher recently sold a property in Hawaii she owned at auction, pocketing a $2.5 Million profit. Check out this beautiful property in Texas up for auction. Overall, it was a great group of agents with great questions and now they have an additional "tool" they can offer their clients. If you'd like to have this additional "tool" too, register here. 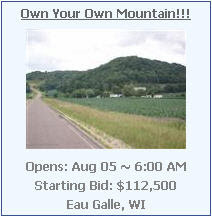 Why would I do an online auction? Why use an Online Auction?